In a basin, add Pearl millet flour and salt. Fluff it with fingers once. Add water in little quantity and keep mixing the flour to make coarse dough. You may check the consistency of the dough by doing this test. Take little bit of dough in hand and tighten it with fingers. It should form a ball shape. Now break the dough. It should loose the shape immediately and come to the initial stage without lumps. Take an Idli plate with cloth covered on top. Spread the dough on that. Place the plate in the Idli pot and cook for 10 to 12 minutes. Turn-off the stove. Transfer the cooked Puttu dough into a basin. 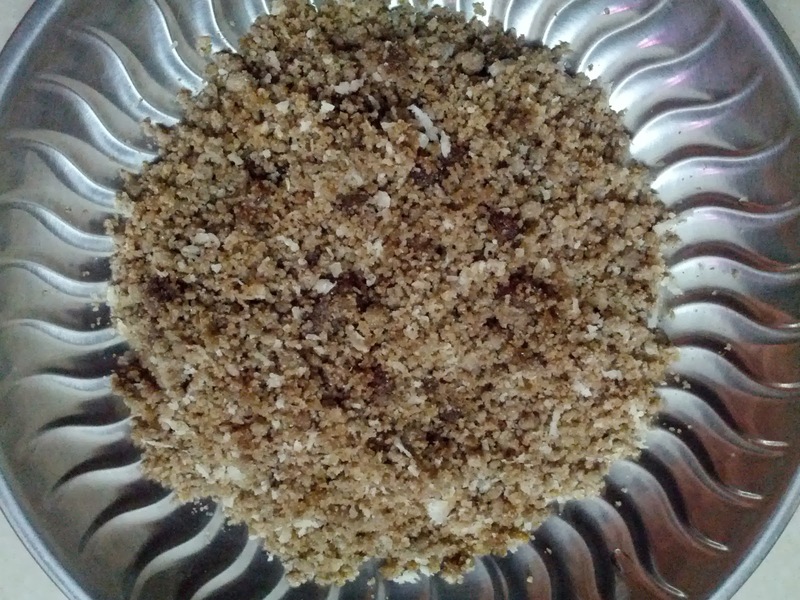 Add jaggery powder, grated coconut, cardamom powder and mix thoroughly. Serve hot.